More flexibility for Sealink VSAT users with higher burst rate and larger data plans to meet diverse operational and crew communication needs. 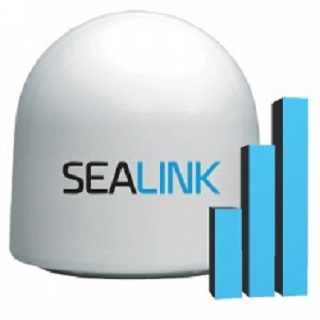 Marlink has doubled the burst speed on its Sealink VSAT services, enabling up to 3 Mbps for users on its data allowance packages, enabling faster Internet access and a smoother web browsing experience. New 40, 60 and 80 gigabyte (GB) data allowances have been introduced in parallel to the burst speed increase, enabling users with high bandwidth requirements to extend their smart shipping and crew welfare strategies with the world’s largest, most reliable maritime VSAT network. Combined with the potential for faster Internet access, the new Sealink allowances enable significantly more capacity for smarter operational efficiency and enhance crew data communications while providing access to social media and web browsing. Providing a reliable, global and always-on link for business connectivity, Sealink Allowances combine up to four voice lines with eight data allowance plans now available from 1 GB up to 80 GB per month. The new Sealink data plans provide for predictable investments in crew communication facilities, helping to improve recruitment and retention, in addition to supporting on board morale, safety and efficiency. The data allowances will also strengthen business administration including email, electronic document handling and Machine to Machine (M2M) applications. “We are committed to continuous improvements to the Sealink VSAT portfolio in order to meet the changing needs of our existing and new clients. Flexibility is a core aspect of this and is reflected in our technology agnostic, multi-band approach to service delivery and the extensive options such as data allowances and value added services. The integral flexibility of our services allows us to adapt our broadband solutions to exact customer needs,” said Tore Morten Olsen, President Maritime, Marlink. 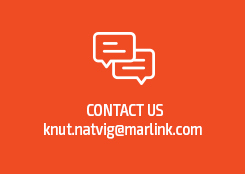 Sealink VSAT data allowances can be simply upgraded or topped up via Portal360, Marlink’s unique online service management platform. With the ability to add and combine different allowances, the packages provide a convenient, low-cost Internet service for new or existing Marlink customers seeking a flexible, dynamic connectivity option to address ongoing requirements for business and crew data communications.